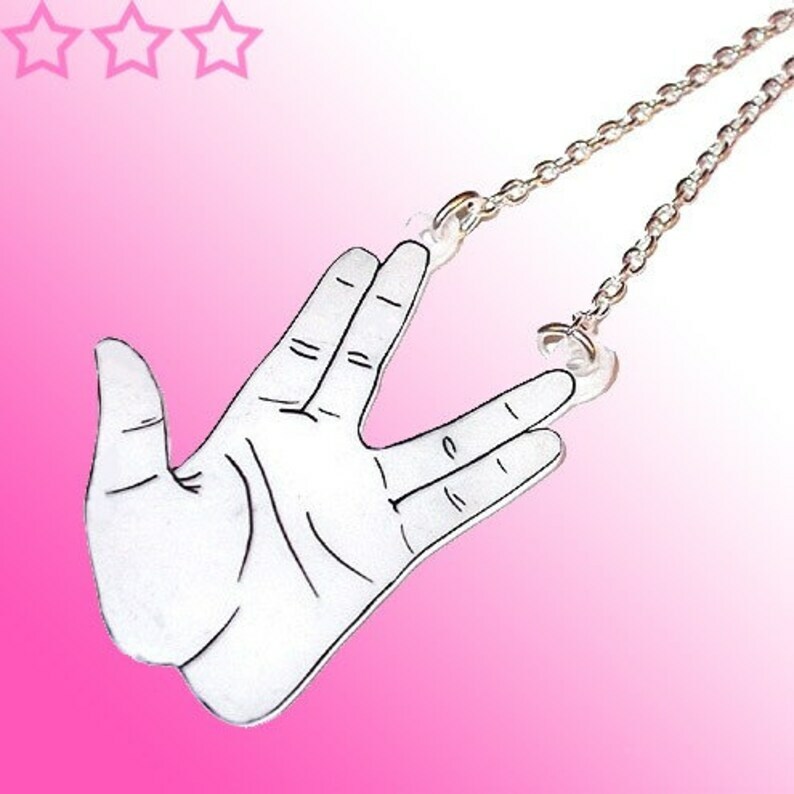 Any fan of Star Trek will recognise this hand salute as the Vulcan greeting. Now you can make this sign without having to lift a finger. Approx 3.5cm wide x 4.5cm high at widest points, however as each piece is hand made and drawn just for you, sizes may vary very slightly. 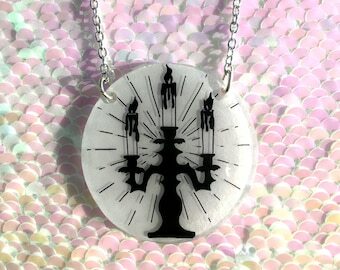 Your hand will be suspended in the middle of an 16" silver plated or gold plated trace chain, with a 2" extension chain.